The future scope of 3d printing is just amazing and full of adventures and innovations. As it is playing wonders in the various industrial fields, no one can be untouched by the 3d printing future trends. We saw interesting innovations like artificial body part manufacturing by 3d printing, building foldable houses by 3d printers and much more. How will be the future of 3d printing will look like? In what field, this technology will prevail excellently, all these questions make the 3d printing the most engaging and emerging technology. Aerospace is a rapidly growing industry which is leveraging the 3d printing technology to develop some exceptional platforms. 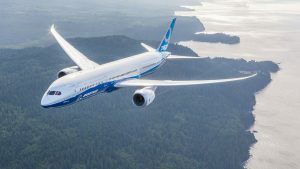 The Boeing 787 Dreamliner is a massive aircraft and will you believe that it’s more than 25 major parts are designed and printed with the help of 3d printers. The General Electric (GE) company has made an investment of whopping $50 million for the research and development in 3D printing technology to improve the overall aviation manufacturing process. The one specific part of 3d printing technology which is attracting people is the metal 3d printing. This 3d printing technology has changed the game of printing in various industries. This is the safest bet companies are playing for their business. 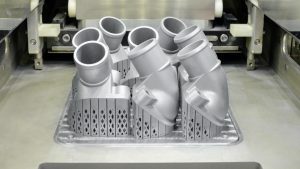 Companies like Mercedes, Audi and BMW are leveraging the metal 3d printing technology. They are manufacturing their core functional parts by 3d printing technology to make their supercars more efficient and powerful. This is an interesting use of 3d printing, people are using it to print food items which you can eat. A company in France is using 3d printers to make objects made up of dark chocolates. 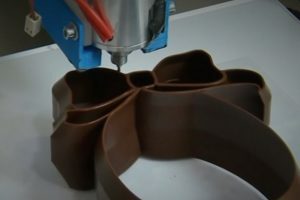 They are using liquid chocolate to print various objects in a layer by layer approach. As the chocolate will set at room temperature, a near to perfect shape can be achieved using chocolate. People are printing their loved one’s name, hearts, their favourite symbols made up of pure dark chocolate. 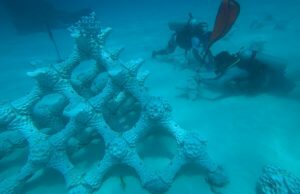 To save the life of extinct sea animals, researchers are manufacturing artificial coral reefs. The reefs are manufactured by combining multiple materials to replicate the exact coral reefs. In Australia, some beaches are having corals installed to save the rare species. Tags: 3d printing future trends, future of 3d printing in aerospace, future of metal 3d printing, future scope of 3d printing.